Hello! I’m Bernard Tyers, a user experience professional. My work focuses on user research, interaction design, and open source software. I’m a technology professional with 18+ years experience. My main work focuses are user researcher, interaction design, and open source software. Where possible I work on projects where privacy, security, and identity are important aspects. 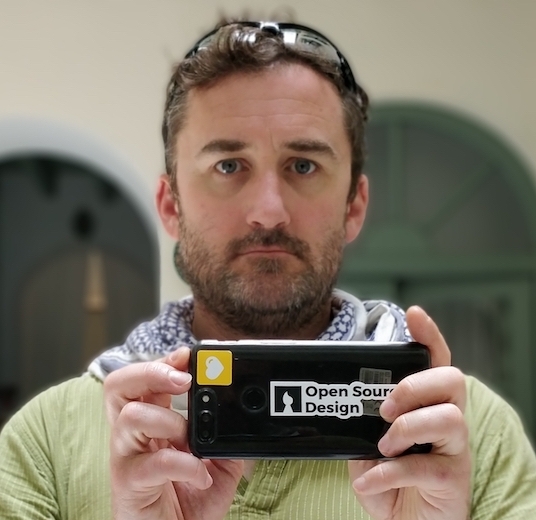 I helped found the Open Source Design collective 1)Open Source Design website https://www.opensourcedesign.net, a growing group of designers advocating for more user-centred design involvement in the open source software community. In a previous life I was an engineer, in reverse order; telecommunications networks engineer with Nokia (then Nokia Siemens Networks), systems administrator with various companies, and starting out as a technician building electronics in academia. I’m a member of the ACM 2)Association of Computing Machinery https://www.acm.org/, UXPA 3)User Experience Professionals Association https://www.uxpa.org/, and ORG 4)Open Rights Group https:/www.openrights.org.uk.